Windows 8 and Metro are not one in the same thing. Windows 8 is an operating system. 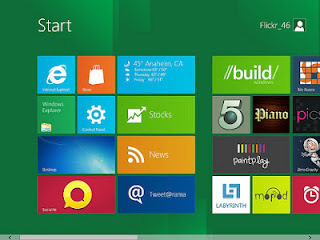 Metro is a tablet focused environment that runs on top on Windows 8. When we talk about Metro development, we are talking about a set of design principles that are primarily focused on tablet and ARM devices and the powerful set of development tools that .NET now offers. In the same way that iOS dictates that you will live inside it's pome ecosystem, Metro is guiding its developers through tools, libraries and UX guidance how to easily produce an application that is friendly to the touch world and still plays well with mouse and keyboard. One thing I love about iDevelopment is that Apple has pulled the level of developers up again in to a world where you can wield the power of your respectable language with the aid of the brilliant Cocoa framework. Metro is offering you the same thing but with the benefits of living in the Microsoft universe with access to a pool of technology, consumers and a development framework that is proven in all environments from the enterprise world to small teeny systems. For developers, there is so much noise around Metro that it's hard to know where to start. Do not be overwhelmed. It's easier than walking in to a new language; going from desktop to web development; or learning graphic design skills. There are simple starting points that allow an attainable entry point. Download Windows 8 Release Preview (Win8 RP) and Visual Studio 2012 Release Candidate (VS2012 RC) and choose any first class .NET language. Create a default project and then make changes to it and see how simple it is to start and produce a good looking, easy to use and robust application. After running Microsoft Metro App Excellence Labs for over 2 dozen applications, I can only say that the less you fight the world presented to you by Visual Studio and the easy-to-interpret design principals, the better your app will be. As with all new interactive experiences, you may try to make it act like something you know better but it actually works better to let it be itself. This is an echo of the advice I gave about writing iOS apps. Work with your environment. Learn what it does well and use it. Reinventing the wheel is self-validation for hackers.